What a unique day today. 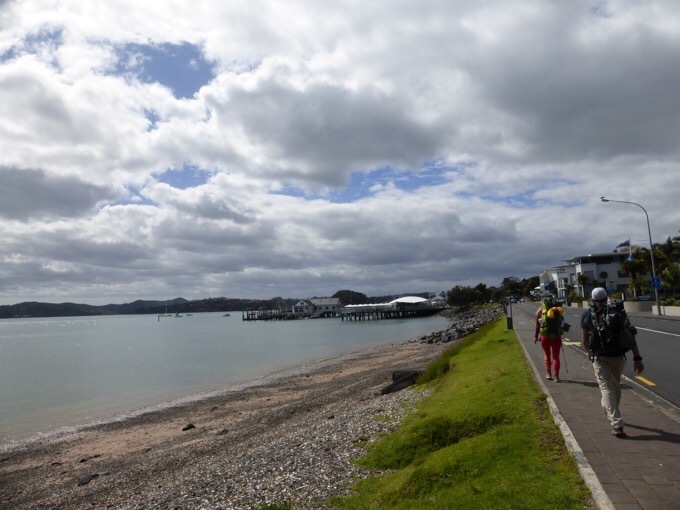 The four of us set off at 7am and walked the dirt and gravel road into Paihia. It was very easy walking. Felix, cruised ahead, Will listened to his sports podcast, and Becky and I entertained one another with conversation for the five hours into town. We’ve now crossed completely across New Zealand from the west to the east coast. 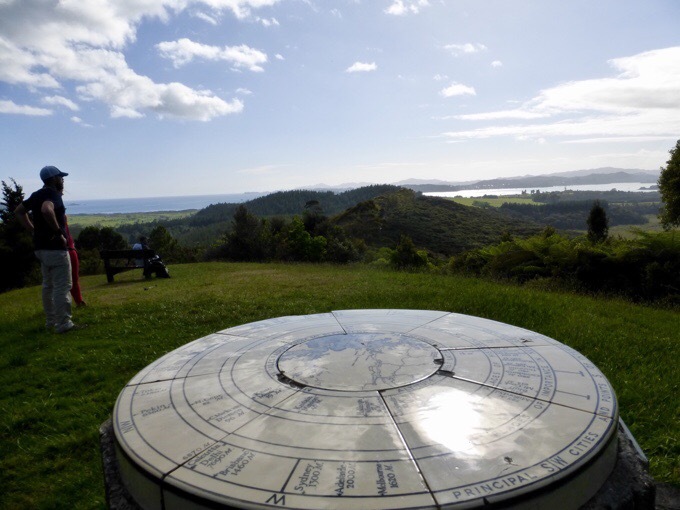 Along the way, there was a short side hike to the lookout on Mt Bledisloe where we got our first view of what lied ahead, the Bay of Islands. 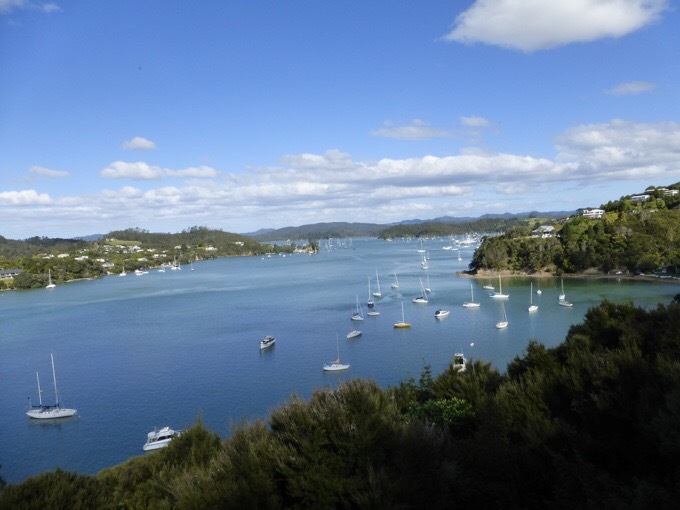 First sight of Bay of Islands from Mt Bledisloe. 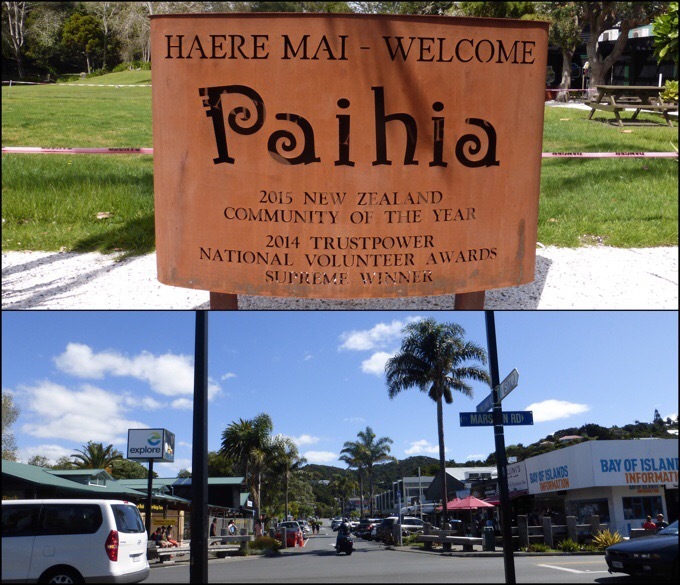 We got to Paihia before 11am and absolutely loved it! It was a Sunday, so there were people around the tourists town, but it didn’t feel overwhelming at all. 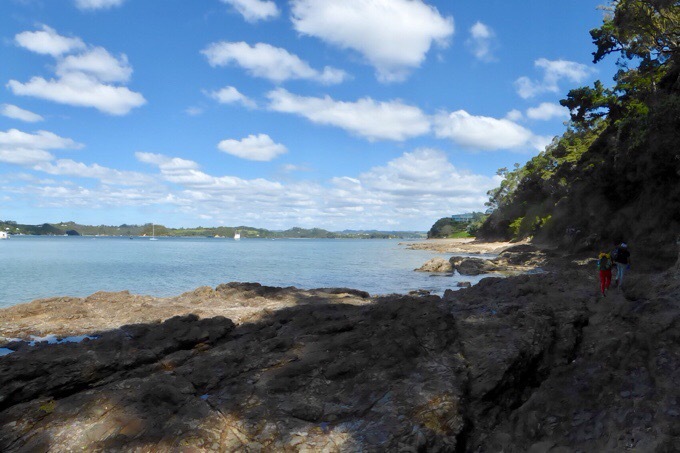 For anyone doing this hike, my advice to them is to buy their resupply in Kerikeri, but to keep hiking another day (or two) to Paihia for the overnight or zero. Almost everywhere had free and fast wifi! That is the first that has happened all hike. 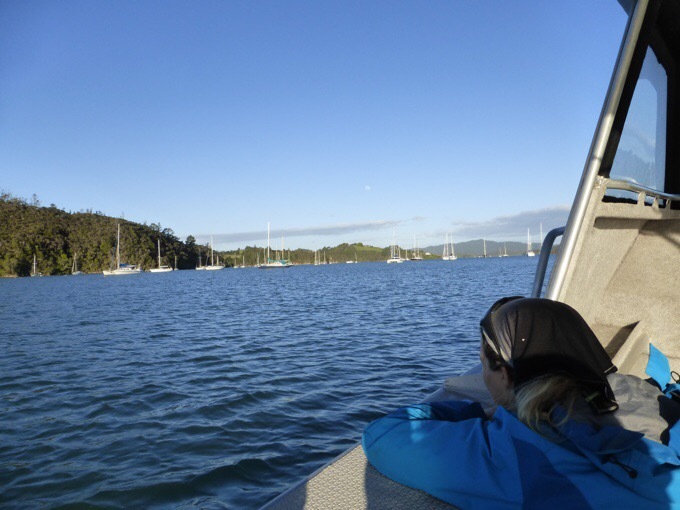 We only had 3km/2mi to our final campground destination (to be able to catch a ferry across the bay tomorrow morning) so we decided to totally lounge it up for the day and allow ourselves a holiday day. The information center held our packs for us and we were free birds to be tourists for the day. Felix hiked on as he needed to do laundry and shower. 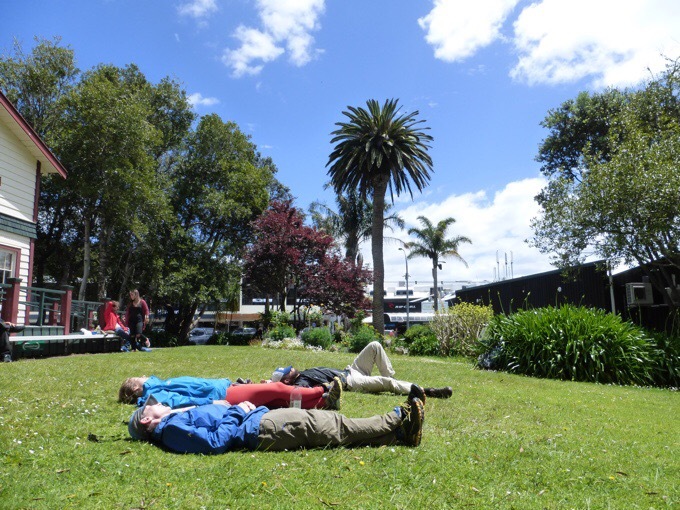 It was great weather, so we first got ice cream/milkshakes and laid in the grass at the public library where there was fast wifi. Soaking up the sun and wifi at the public library. 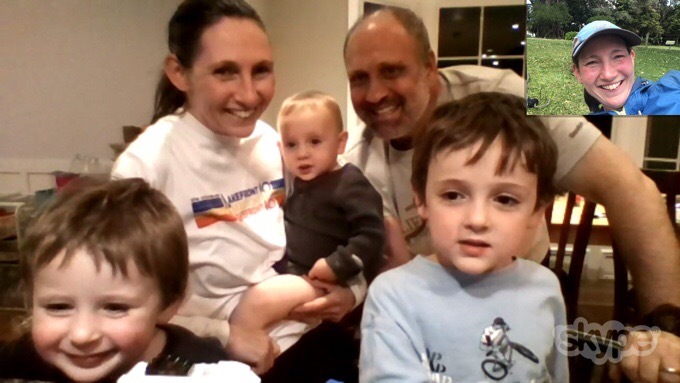 I watched a couple episodes of Modern Family and got to Skype with my sister and her family. Due to the limited internet out here, we haven’t been able to have as much communication, so it was great to have a lengthy Skype session. Skype with my sister and her family. After that, we had burgers and fries. There was a fancy big brownie and ice cream dessert at the neighboring restaurant and I splurged on that for me and Becky since I never got my birthday brownie. It was decadent and totally worth it! Felix called and we found out that we could take the ferry tonight instead of early tomorrow if we wanted. That was a big relief because we were going to have to pay $20 to camp at the campground before the ferry and now we could cross and freedom camp (term used here for camping outside of an offical campground) along the river on the other side of the crossing. We finished our 4.5hrs in town at the cafe where they had free wifi and they let us charge our things. I watched Survivor with Becky who had never seen it before. 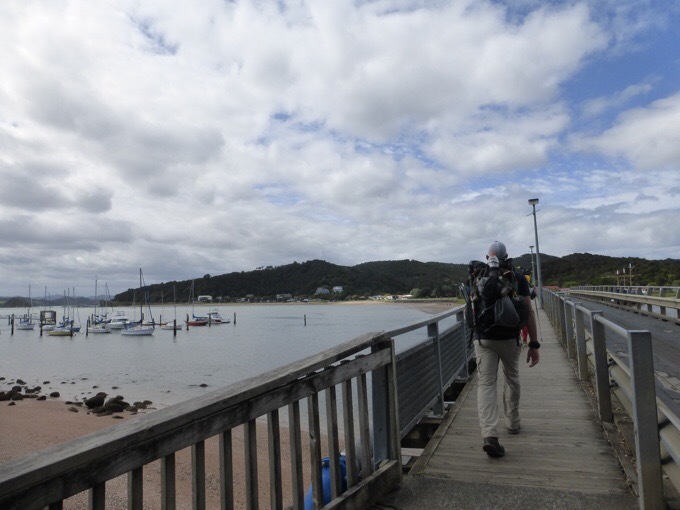 We left town around 3:30pm for the 6km/4mi walk along the bay to meet Felix at the dock for the ferry. 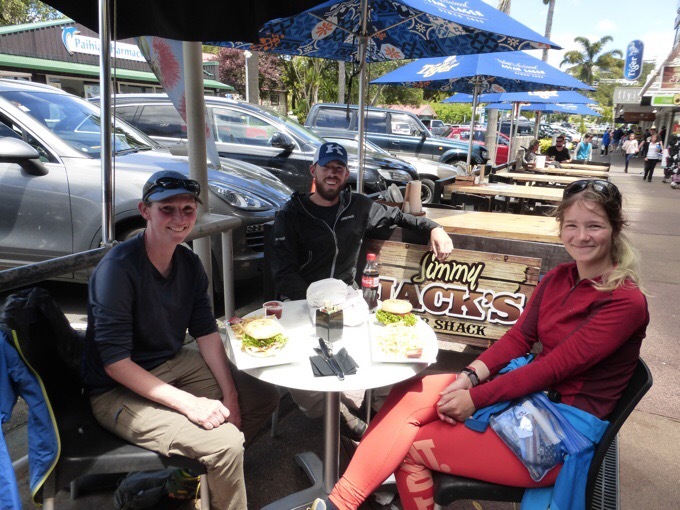 Along the way, we ran into the young German couple, Jo and Michael, who were swimming at the great beach at the end of town. They were staying in town another night and doing the morning ferry, so we may still see them down trail. 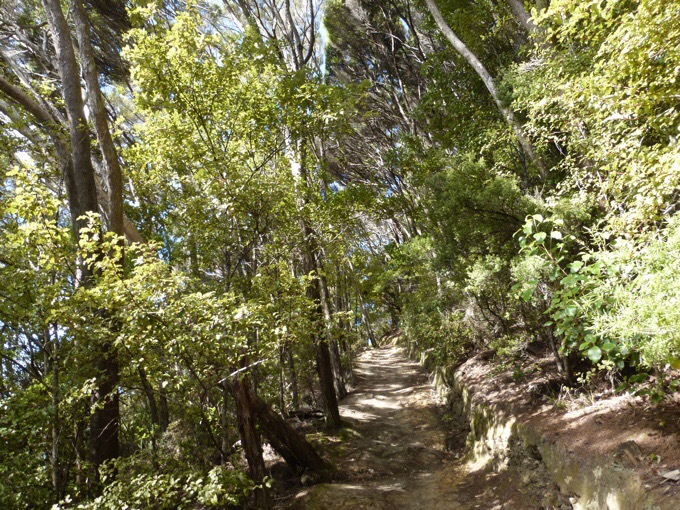 The trail went in and out of the forest along the coastline. 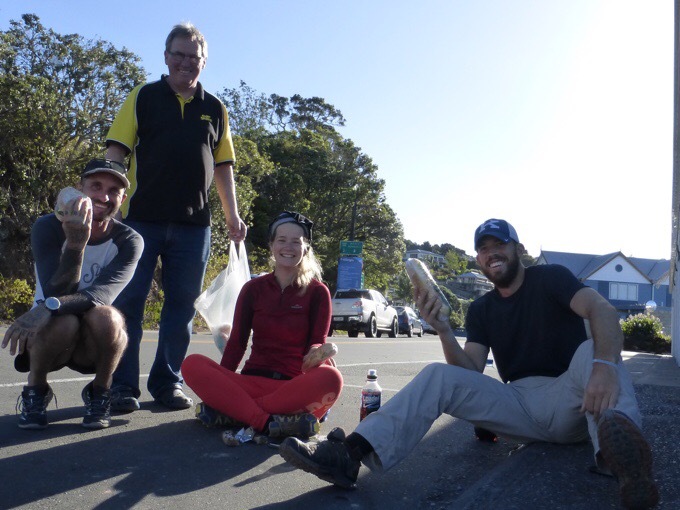 While waiting for the ferry, at just after 6pm, the man that runs the General Store walked out after closing shop and offered us all great big sandwiches for free! They have a policy of starting fresh each day, so he gives away the remaining sandwiches. The food here is pretty pricey and those had be at least $7. Perfect timing, what a day! Free sandwiches from the man at the General Store! We got the 7pm ferry from Dusty for $20 and two French gals (Emily and Dominique) hiking the TA also took the ferry. The ferry can only run at high tide, so we got lucky that Dusty could do a night one for us and we wouldn’t have to do the 7am one tomorrow. It was a great ride for about 25mins and the perfect way to cap off such a relaxing day. It really couldn’t get much better than today. We landed in farmland and had some gravel road walking to do for 3km/2mi to some camping labeled on Guthook’s App. It was late, so the four of us sped on ahead. 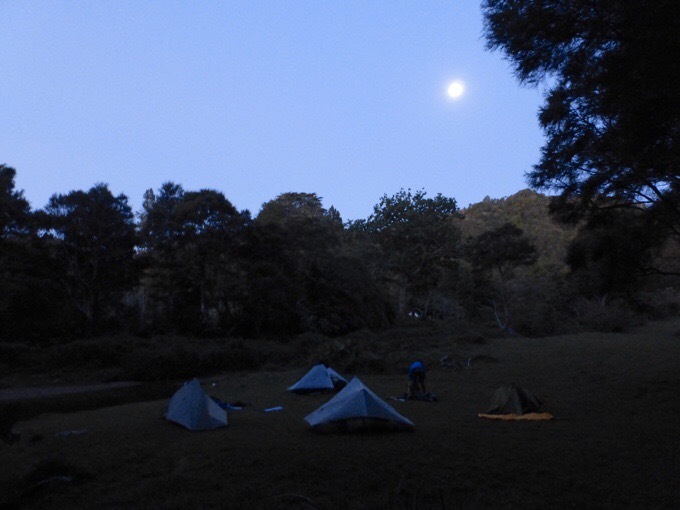 We arrived at a great open grassy area around 8pm and got our tents up with the almost super moon rising. The French gals must have pulled off and found a spot because they never arrived. What a day! We somehow felt like we got to lounge all day and still made 23.1mi/38.1km of progress. 11km/7mi of it was on the ferry, but we still got plenty of walking in. 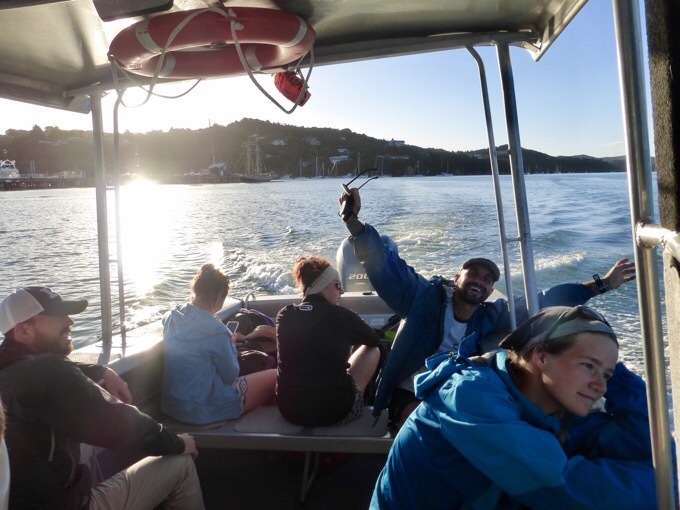 It’s cool that the ferry miles are part of the official Te Araroa miles. Just a great day! Sounds like your totally stoked with all your describing. Stay safe and away from the beach if your able. Did you feel the earth shake? I scrambled to pull up Google maps to make sure you were far away from Christchurch and the earthquake. So freaking scary!! Hope all is well with you and everyone else along both ends of the trail. Glad you are safe and enjoying your hike with friends – continues to look beautiful. Stay safe. I am stunned if you didn’t feel the quake and the big aftershock.. I did read that they felt it in Wellington. And your elevation was low. Good to see you posting, to see you so relaxed and social. Yay for getting your birthday ? treat! Wired, I love reading your blogs and am delighted you are enjoying my homeland, NZ. It is indeed beautiful. In recent treks in NZ have been dismayed by tourist attitudes/conversations being all about wanting a “cheap deal”, and freebies rather than injecting the local economy with $$. Most kiwis are kind, humble, and genuine. Would give you the shirt of their backs and help you out in a flash. Please remember to keep that in mind as you and your lucky fellow hikers travel and free-camp and enjoy the perpetual generosity of New Zealanders. Please find ways to give back to NZ just as it gives to you. Especially right now as it tries to come to terms with yesterday’s earthquake. Yes, I’m aware of that and do know that my personal hike will give THOUSANDS to these small communities. Know that I’ve paid for 6 out of the 12 nights I’ve been on this trail. I feel that it’s worth mentioning as an honest assessment of fact out here that even if you want to camp out in the woods for free, this isn’t the hike for that. I also gave a good donation to the Te Araroa Trust Foundation before beginning my hike and feel that it’s only right to do that in a way of paying it forward. Also, the amount I’ve paid in NZ in 12 days well surpasses my budget for a full month of thru-hiking on any other trail so far. Yes, I understand why it’s expensive, and I’m not looking for a free ride, but I feel like I should be able to mention it as a factor in doing this trail. 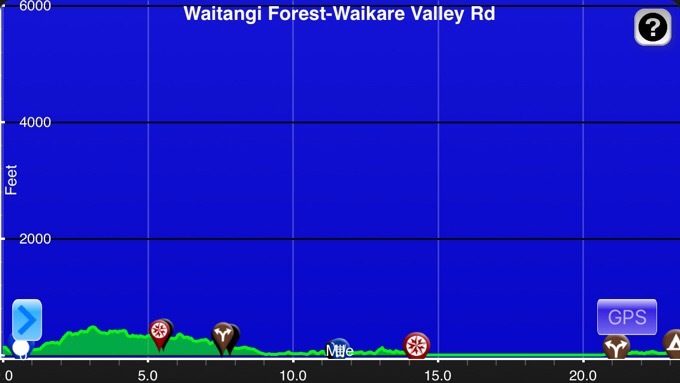 It’s pricey and has taken most hikers aback even knowing this coming in. I’ll find better ways of mentioning it in the future. Wired, did you notice the earthquake at all??? From the maps you are way north of where it occurred, but didn’t know if you felt it or not. Sounds like you are having a great time in NZ! That’s lots of miles to have had such a relaxing day too! Glad the earthquake didn’t effect you, safe travels. Wired, its important for your readers to note that you are quoting cost in NZ $. The NZ $1 is worth US $0.71. Yes… that means for every US $ you bring you get NZ $1.41! Buy something for $10 in NZ and you only pay $7.10 US. I was amazed to see the comments by proudkiwi. Proud and arrogant if you ask me. He made some pretty harsh comments to you.